Pet owners often assume their indoor pets want the same level of cooling and heating as the rest of the family. However, most dogs and cats can be comfortable with a wider range of temperatures. Those with unique pets, like birds or lizards, may need to keep them in warmer environments. Consider moving these pets to a room that can be kept warm easily, but note that this may change over the course of a year. Pet doors are popular, but they can also be a major air leak that drives up your energy use. When purchasing a pet door, make sure it has energy-efficient features, such as thick construction, weather sealing and the ability to be closed off when not in use. Some newer models have magnet or battery locks: a small magnet or sensor on your pet’s collar opens the door, and the rest of the time, the door is shut tight, keeping out other critters—as well as blowing wind and snow! Some people also leave the TV or radio on while they’re away, thinking that the voices will keep their pets from being bored (and destroying their shoes!). However, there are other ways to keep your pooches and kitties entertained. Exercising your pet when you’re home and giving them a variety of toys or a nice perch to see out a window when you leave will be more entertaining and less energy intensive than a TV. If you must leave something on when you’re away, try soothing, calm music instead of a blaring TV. 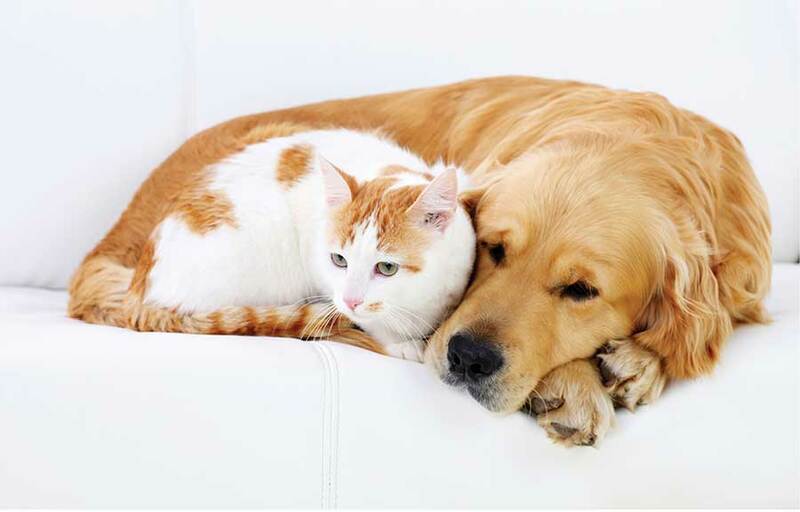 We all love our furry family members, but remember, keeping them comfortable doesn’t mean you have to pay more on your monthly bill. A cozy, insulated doghouse might be all your outdoor dog needs, except on the very coldest days. Make sure that your indoor pet has a warm place to sleep, like a pet bed with a blanket. Consider giving him a few sleeping options throughout your home in different temperature zones, so your pet can adjust his comfort as needed. If you have a very drafty home or an older pet who may appreciate more warmth, a heated pet bed or bed warmer will use far less energy than running your central heating higher all day. This solution can also be good for those who keep their pets in the garage and worry about them staying warm enough. Instead of heating a large, uninsulated space, provide a nice warm bed!